WASHINGTON, March 9, 2019 – Conagra Brands, Inc., a Milton, Pa. establishment, is recalling approximately 2,871 pounds of chicken and rice products due to misbranding and undeclared allergens, the U.S. Department of Agriculture’s Food Safety and Inspection Service (FSIS) announced today. The products may contain milk and wheat, known allergens, which are not declared on the product label. 7.5 oz. 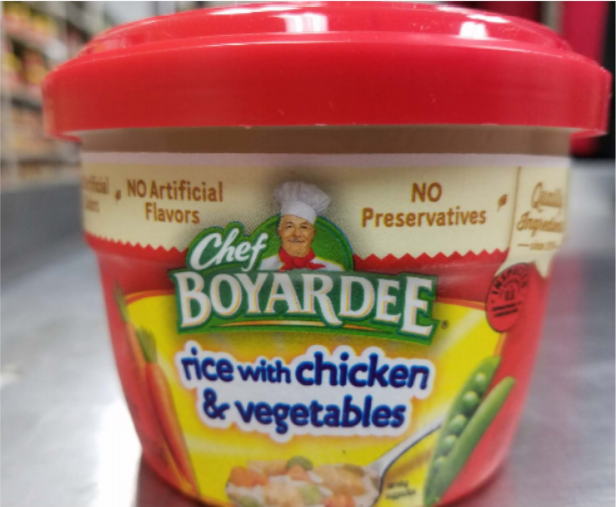 canned microwavable bowls of “Chef BOYARDEE rice with chicken & vegetables” on the label, and a package code of 210090151050045L, and ‘BEST BY’ date of Jul082020 on the bottom of the bowl. The products subject to recall bear establishment number “EST. 794” on the bottom of the bowl. These items were shipped to retail locations in Florida, Kentucky and New York. 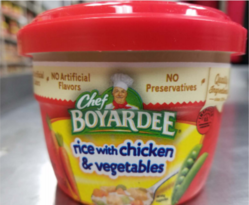 The problem was discovered by the firm after receiving consumer complaints that bowls of microwave beef ravioli were mislabeled as “chicken with rice & vegetables.” FSIS was notified on March 8, 2019. Consumers with questions about the recall may contact Danielle Richardson, Conagra’s manager of quality, at 1-(800) 921-7404. Members of the media with questions about the recall can contact Michael Cummins, Conagra’s vice president of communications, at (312) 549-5257.